For the most part, I enjoy almost everything I read. The majority I would put in the “like” category. It’s entertaining and I am interested in the story. But every once in a while comes along a book that is so engaging it’s hard to put down. A book where the characters become so real that I continue to think of them when I have to put the book down (say to get some sleep or go to work). A book that continues to stick with me long after the final page is turned. 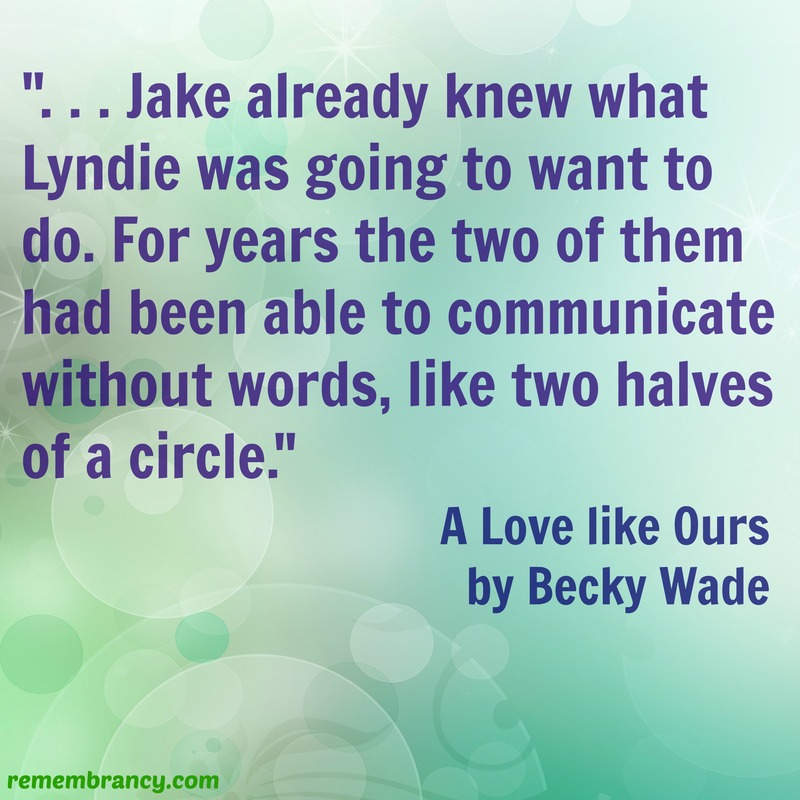 A Love like Ours (book number three in Wade’s Porter Family series) goes in a second category: the LOVED IT category. Jake Porter is surviving. Training Thoroughbreds at his family’s ranch has become his existence. After a tragedy during the war, Jake does better with his horses than people—even his family struggles to get past the barriers Jake has built around himself. When his childhood best friend returns to town, he doesn’t want her around. Lyndie James is excited to be back in Holley, Texas, but nervous about seeing Jake again. Will their childhood friendship that ended twenty years previously be rekindled? 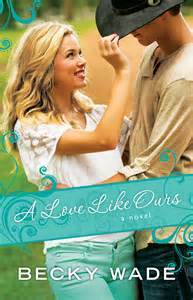 When Jake’s brother suggests she apply for a job as an exercise rider for Jake’s horses, Lyndie sees her way in to Jake’s life. And if she stays, she’s determined to get past those walls he’s built around his heart. There are so many wonderful things about this book it’s hard to know where to begin, so my thoughts may be a little scattered here. Bear with me. First, Lyndie is so likable. Her dual career, her relationship with animals and with her sister, and her belief in Jake and a horse made me root for all of her dreams to come true from the beginning. Jake’s a tough guy, hard to get to know, but as the story goes on and we get a glimpse into the things he’s seen, the horrors he’s dealt with, he too becomes likable. The side characters in this book (those we’ve met in other books—Bo, Meg, Ty, and Celia are just a few—as well as the new ones—Zoe is my favorite) add so much depth to this story. Lyndie’s neighbor makes her promise to go on three dates in three months and some of those scenes are laugh out loud funny. I mean, the dance and the lip gloss were great!! The way Zoe doesn’t finish a thought and Lyndie feels compelled to complete them always made me smile. But the heart of this story is in letting go of the past and trusting God with the future, not holding onto the things that have happened in our past with both hands or taking the blame and guilt for things that can’t be controlled. God’s grace is perfect in all situations and He is the ultimate healer. ****Bethany House provided me with a free copy of this book in exchange for an honest and fair review. All opinions expressed are my own. 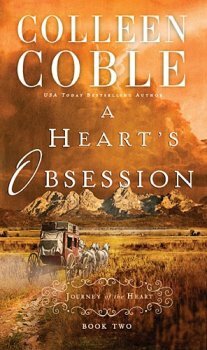 The second installment of Colleen Coble’s Journey of the Heart serial, A Heart’s Obsession finds Sarah Montgomery following the love of her life to Wyoming. But when she gets there, she finds that Rand Campbell is engaged to someone else two months after he left. Because she loves him, Sarah only wishes the best for Rand and strives to be friendly with his fiancée. Yet Sarah’s options are limited and she chooses to remain at Fort Laramie. Matters are complicated more when Sarah’s ex-fiancé shows up determined to marry her regardless of who he hurts on his way to that goal. These short serial novels (about 100 pages each) are a fun way to read a book if you can remember what’s happening from book to book. Personally, I’ve never had a problem with that in series but I know a couple people who will not read a book series until it’s completed. The advantage of this serial series is that you don’t have to wait a year for the next one (just a month and the entire series will be available for purchase this fall). Coble does a great job of keeping the story going, slowly introducing new character and new trouble to the main characters. ***Booklook Bloggers provided me with a free copy of this book in exchange for an honest and fair review. All opinions expressed are my own. I feel like all I ever post on this blog are reviews (probably because that’s all I post) and perhaps I should be branching out. So, I’m going to give Silly Saturdays a try in the month of May. If they catch on, I’ll keep going. So, what’s Silly Saturday, you ask? Well, let me tell you. I think of all of the crazy adventure I’ve had in life, all of the stories that still make me laugh, and want to document them and share them with others. So, what better platform than my blog, right? Maybe they’re only funny to me, maybe others can relate, maybe the stories will be more SALTS (saw this today so I’m using it) than LOL. SALTS: smiled a little then stopped. But where do I start? What story should I tell you first? I think this week I’m going to go back to my teenage years. When I was in sixth grade, my family moved from Oregon to Wyoming. In Wyoming, you went to middle school which started in sixth grade. The friendships had already been formed in grade school (which I missed), and because we moved in the middle of the school year, the popular kids had already become their own group. But let’s face facts, even if I had started the first day of Kindergarten in Wyoming, I wouldn’t have been part of the popular crowd. I was too shy and quiet, not outgoing at all. After about a year, I’d managed to make a few close friends and my parents agreed to let my sister and I have a couple of friends each over for a slumber party one Friday night. My dad had the keys to the rec center in a town six miles away, so we all went and played some games there (I honestly can’t remember if it was basketball or volleyball). We did that for a couple of hours and then came back to the house where we sat around the living room and talked while Mom made dinner. My dad was sitting in the living room with us and looks down at his slacks. “There’s a whole in these,” he says and proceeds to rip his pants down the seam. 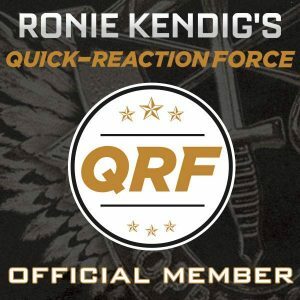 Our friends sat their with their mouths open as my dad ripped his pants the entire link. What none of us knew was that he had shorts on under them (we didn’t get hot enough at the rec center that he had removed his pants). 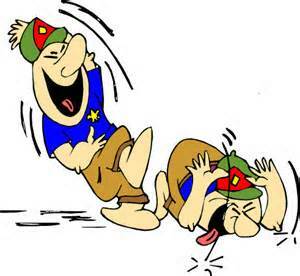 Yes, sometimes it was embarrassing living with my dad but, believe me, I have plenty of stories involving him and his ridiculous sense of humor. I didn’t list the authors in the title of this blog because there are three of them. Yes, you get one short stories from three best-selling authors for a total of three. 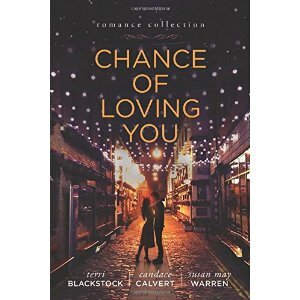 Three authors I enjoy who know a little bit about writing a great romance: Terri Blackstock, Candace Calvert, and Susan May Warren. In “For Love of Money” by Terri Blackstock, Julie Sheffield waitresses to earn money while struggling to launch her own design firm. After spending one rainy evening talking with a customer, she is interested in the man, believing God brought him to her. But when he leaves her half a sweepstakes ticket and an IOU instead of a tip, her anger quickly overcomes her interest. While Blackstock is best known for her romantic suspense offerings, it was a change of pace to read a straight romance from her. And she didn’t disappoint. Julie is likable and charming while Blake goes after what he wants. This couple will balance each other’s weakness (if they can trust each other enough to give love a chance). “The Recipe” by Candace Calvert finds Aimee Curran, a hospital dietary assistant, struggling to find her purpose in life. She believes she’s finally found her calling, a way to honor her mother, when she enters a Vegan Valentine baking competition. No stranger to heartbreak, Aimee is drawn to Lucas Marchal, whose spare time is spent beside his ailing grandmother’s hospital bed. After being blackmailed into helping with food service, Aimee and Lucas begin to talk about their lives—their concerns, their fears, their hopes. But has Aimee truly found her calling with her competition or is she just filling time with another fruitless endeavor? This short story was my favorite of the three. Aimee’s life has not been easy and her desire to find her place in life may resonate with a few readers. The story starts out with a fairly humorous scene that will at least have you smiling. The love Lucas has for his grandmother is endearing and made him likable from the beginning, even when he’s not-so-pleased with the hospital staff. The final offering in this anthology is from Susan May Warren. “Hook, Line & Sinker” follows several students from Bethel College to a fishing competition in Deep Haven (readers of Warren will definitely recognize this town!). Abigail Cushman is determined to try and win Deep Haven’s annual fishing contest to bring more attention to her struggling campus ministry. The problem is she’s competing against the man she’s loved for years (more years than he knows). Their relationship fell apart when tragedy struck and time has not healed the gaping wounds from words spoken during her grief. Warren’s a master at romance and even her short stories pull a reader in. The only story in this anthology where the main characters have a history before the beginning of the story in the anthology (which I usually prefer) and that history is a long one. Miscommunication, misunderstanding, and pride are what keep this couple apart despite the strong feelings they still have for each other. This anthology is a nice read for several reasons. It’s the length of a regular book but the three stories within are short. I don’t know about you, but I have a hard time putting down a book when I’m in the middle of a good story. You won’t have to do that with Chance of Loving You because you can finish a complete story in a couple hours’ time. This is a fun way to either get to know a new author or to visit some favorites. Novellas and short stories are always a nice way to pass on a favorite author as well. If you’re looking for a nice, uplifting beach read, consider picking this one up. Available for purchase in stores and online now! Tyndale House Publishers provided me with a complimentary copy of this book in exchange for an honest and fair review. All opinions expressed are my own. When I was in college, I worked at a small Christian bookstore in our local mall. My manager and assistant manager found that I kept up with the music scene pretty well so they put me in charge of that department. And now, twenty years later, I still enjoy my music, but I have to admit that I’m way behind the times when it comes to groups that have become popular in the last decade and a half. I do, however, have three teenage nieces and a nephew who keep me up on some of the music. 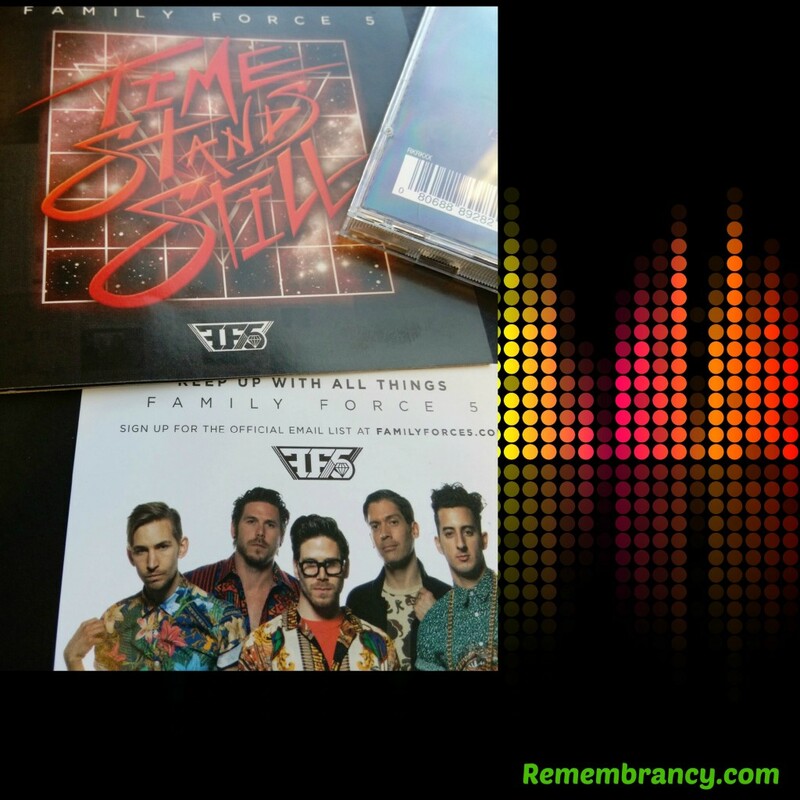 Family Force 5 (FF5) has undergone some changes for their fourth studio album, Time Stands Still. First, they signed with a new record label—Word. In addition, there is a new lead singer at the helm (they guy who used to be the drummer, and therefore also a new drummer). Fans of FF5 may find some interesting changes to this album but the changes just may bring about new fans. There are still a few songs with the band’s signature crunk rock and crazy lyrics including “Sweep the Leg” which would be an excellent warm-up song if you were going into an MMA fight, “Raised by Wolves” which is one of the hardest rocking songs on the album, and “Jet Pack Kicks”—not as hard hitting but silly party lyrics not the less. What was surprising was the more pop/dance pop sounding songs on the album, things you might hear on Christian radio, songs with a more faith-based message than FF5 has been known for in the past. My favorite song on the album is “Walk on Water” featuring Melodie Wagner from Hillsong. This catchy tune stuck with me. I’ll admit it took me a few listens to get past wanting to turn it off when the heavier stuff came on, but after three listens, they started to grow on me. If you have a household with different musical tastes, consider picking this one up, the variety just may interest more than one person. With a fifteen tracks, there is a good mix of music.